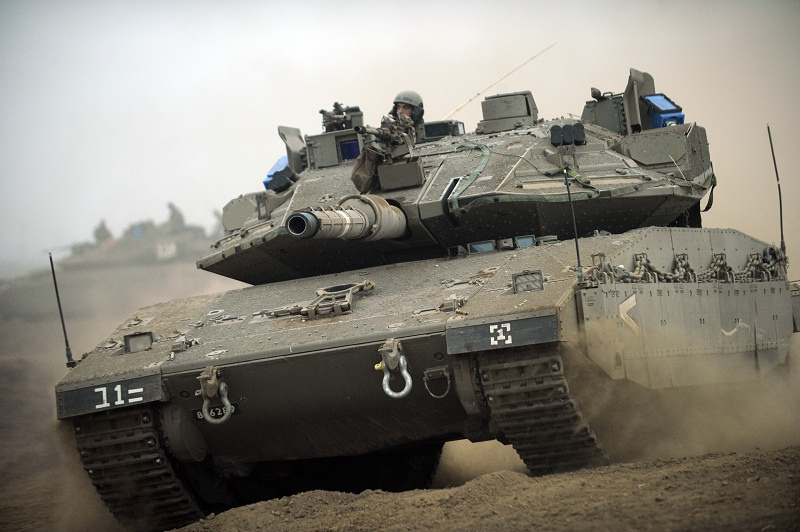 Land Destroyer: Who is Israel's Biggest Enemy? Who is Israel's Biggest Enemy? Its government and their foreign sponsors. May 10, 2016 (Tony Cartalucci - NEO) - The ongoing conflict consuming the Middle East is the result of Western hegemonic designs aimed at reordering the region and beyond, into a geopolitical structure more suitable for its own interests. In accomplishing this, the centers of power across the West - Washington, Wall Street, London, and Brussels - have elected several nations as intermediaries through which various aspects of this process are being implemented. Saudi Arabia has contributed significantly in the indoctrination, financing, and arming of terrorists sent across the region and indeed the world. Turkey has likewise served in arming and supplying terrorists, as well as staging them ahead of operations launched into Syrian territory and even resupplying them once in Syrian territory. To a lesser but still notable extent, Jordan has done this as well. One nation often either neglected or analyzed inappropriately - but very much involved - is Israel. The government of Israel has also colluded with the West regarding the ongoing conflict across the Middle East, likely in a way most Israelis are either not aware of or are not in support of. The article, published years before the so-called "Arab Spring" in 2011 after which the war in Syria began, would turn out to be prophetic. Israel has worked, albeit more quietly, in tandem with the United States, Turkey, and just as Hersh warned, Saudi Arabia, to wage a devastating proxy war against Syria, Iraq, Lebanon, Iran, and to some extent even Russia. Israel's borders and safe havens established just beyond them, particularly in the illegally occupied Golan Heights, harbor US State Department-listed terrorist organizations including the Al Nusra Front. On multiple occasions Israel's own press covered incidents where the Israeli Defense Force (IDF) was caught trafficking Nusra fighters back and forth over their border with Syria in ambulances. The article, and others published by Haaretz would reveal that the frequent movement of Nusra fighters in ambulances operated by the IDF eventually prompted Israeli Druze to attack the convoys forcing the Israeli government to change what was apparently a policy well-known inside Israel. 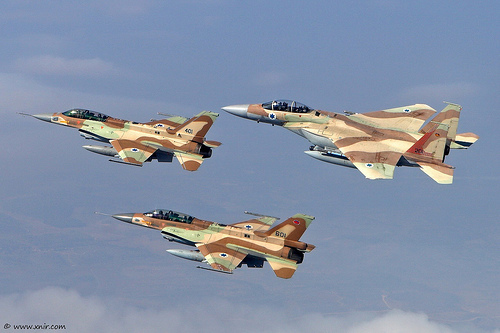 There is also the matter of much more public and multiple violations of Syrian territory by IDF warplanes who have carried out strikes, not against Nusra or the so-called "Islamic State" (ISIS), but in support of them against Syrian military forces. 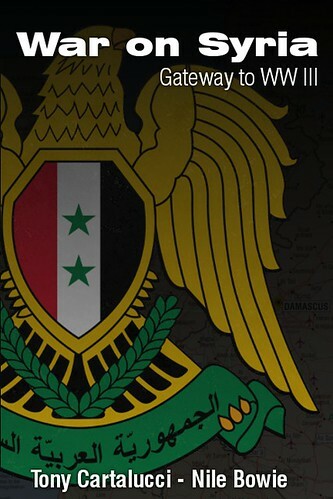 Damascus has been struck as well by Israeli warplanes in a clear attempt to provoke Syria into wider war in hopes of creating a pretext for swift and direct Western military intervention vis-a-vis the Syrian government. This latter point is particularly relevant, since signed and dated US policy papers reveal a similar tactic was planned to provoke an unwilling Iran into war against first Israel, then the United States. However, as noted in the previous chapter, the airstrikes themselves are really just the start of this policy. Again, the Iranians would doubtless rebuild their nuclear sites. They would probably retaliate against Israel, and they might retaliate against the United States, too (which might create a pretext for American airstrikes or even an invasion)." The regime in Jerusalem is often depicted by detractors as representing the Israeli people, and being the "black capital" of a global "Zionist empire." 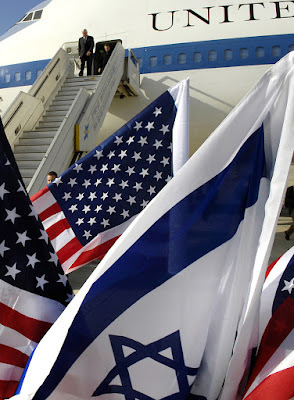 In reality, the current Israeli government's existence and the military might that sustains it is owed entirely to Washington and London politically and to a significant degree, financially as well. During the 2006 war against Lebanon, at one point, Israel required an emergency delivery of munitions from the US via the UK to carry on operations. 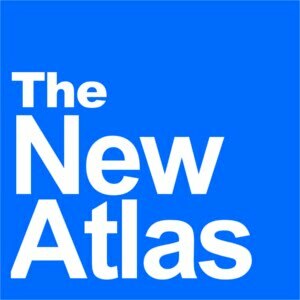 The diminutive country boasts a high-tech economy that could give its people a comfortable existence, benefiting themselves and their neighbors should peace ever be allowed to prevail, but Israel's economy alone could hardly sustain its current belligerent posture both in the Middle East and beyond without its foreign patrons' help. 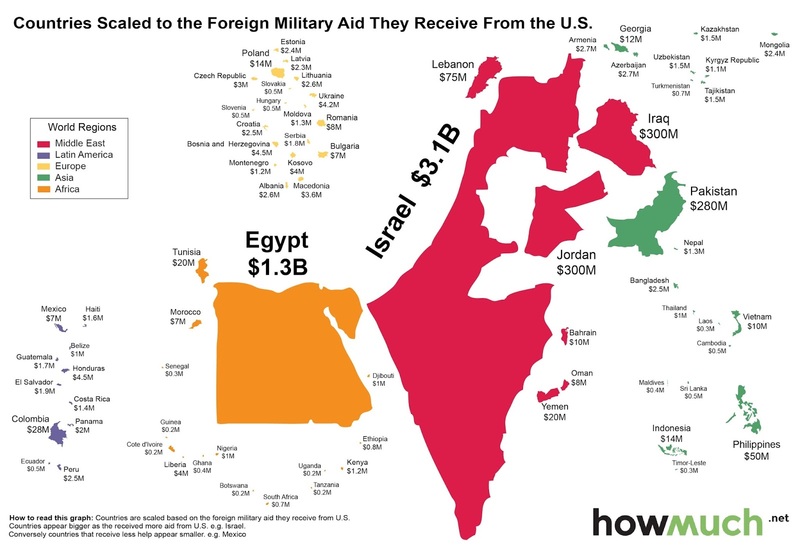 Financially, according to the US State Department's own numbers, some 3 billion plus US dollars are sent annually to Israel for military assistance alone, making it by far the largest recipient of US military aid on the planet. The next runner up, Egypt, receives not even half that amount, and Israel's military assistance accounts for over half of the total 5.6 billion spent on military assistance worldwide by the United States. Israel's total defense spending amounts to 18.5 billion US dollars, according to the London-based Fortune 500-funded International Institute for Strategic Studies (IISS) think tank. It is also claimed that Israel rakes in some 5-6 billion in defense sales. Whether or not Israel could survive without the 3 billion declared US dollars in military assistance or not is widely debated. What analysts seem to agree on is the amount of influence that 3 billion gives the US over Israel's current ruling circles. In other words, US funding to Israel is more about keeping a regime in Jerusalem doing what Washington wants more than Jerusalem strong-arming 3 billion US dollars from Washington it could survive without. Analysts also seem to agree that without that 3 billion US dollars from Washington, the current regime in Jerusalem would likely collapse and give way to more moderate political forces. Much of Israel's current belligerence is bolstered by both US influence over Jerusalem as well as US political support for Jerusalem's aggression upon the global stage. Breaking this cycle could be the key to bringing peace and co-existence between Israel and its neighbors, but breaking it requires Israel's critics to focus on US-influenced politicians rather than on the state of Israel itself and all 8 million of its people - many of whom could become valuable allies in establishing peace and stability in the region. Another factor required to maintain Israel as a defacto state-sized forward operating base (FOB) for US regional ambitions, is maintaining a climate of fear and a siege mentality among Israel's population on one side, and a climate of hatred and desire for revenge on the other. It is ironic that Israel's current regime finds itself in league with Saudi Arabia, Qatar, and other state sponsors of terrorism who in turn maintain the rank and file of the most fanatical yet ineffective political and militant groups arrayed allegedly against the Israeli state, and undoubtedly against its people. While the Palestinian and Israeli people find themselves pitted against each other in perpetual violence, the special interests driving the violence from either side, are working in concert together geopolitically across the region. While Israel convinces its people that Palestinians are their enemy, they are colluding with Saudi Arabia, Qatar, and Washington to arm and stand up Al Qaeda against Syria. As long as critics of Israel misdirect their anger and outrage over Israel's belligerence against Israel as a nation and against its people in general, they will simply help encourage the fear and siege mentality the current regime in Jerusalem predicates its foreign and domestic policy upon. Were these critics to articulate a more nuanced approach, allying themselves with Israelis opposed to the current regime, and both exposing and condemning specific members of the Israeli government, the regime itself would be disarmed of one of its most valuable tools. Far from the wishful thinking of a "closet Zionist," this method of reaching out to both Jews and the Israelis has been employed by Syrian President Bashar Al Assad himself, in a bid to clearly delineate the majority Syrians could live as neighbors with in peace, from a corrupt minority sowing chaos and violence just as much in danger of swallowing up all of Israel as it is to swallow up its enemies. While Syria is still officially at war with Israel, the country is trying to portray itself as a more tolerant state to help burnish its image internationally. Syria’s 200 Jews are mirroring the actions of their co-religionists in Lebanon, where restoration work began on Beirut’s Maghen Abraham Synagogue in July 2009. Clearly, eliminating the government of Syrian President Bashar Al Assad, who is seeking to extend this olive branch, and replacing his government with quite literally Al Qaeda and the "Islamic State," would ensure a perpetual strategy of tension benefiting big-defense on Wall Street, special interests in Washington, the regime in Jerusalem, and the collective geopolitical objectives of Washington and its regional allies vis-a-vis Iran and by extension, Russia across the Middle East. Image: Syrian Jews celebrating Passover. 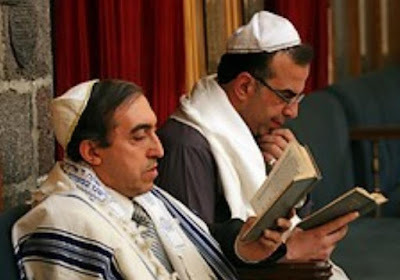 Should President Assad and his allies succeed in reestablishing Jewish communities across Syria and successfully reach out to those Israelis not in support of the current regime in Jerusalem and their foreign sponsors, one half of Washington's strategy of tension would collapse, leaving the other to linger, atrophy, and inevitably collapse in turn. In order to achieve this, it will require first weathering the proxy war Syria and its allies have been subjected to, then consolidating their influence across the region vis-a-vis Washington's regional allies, but primarily against their governments, not their people. It will also require the mindset of many critics of Israel to evolve in a more nuanced manner, establishing financial, military, geostrategic, and political arguments against specific Israelis and their sponsors, rather than rhetorical and ideological arguments recklessly hurled against all Israelis. Breaking the fear and siege mentality Jerusalem has subjected its own population to for decades is the first step of breaking the regime itself. Not only does this regime represent a threat to Israel's neighbors, but contrary to the propaganda it has used to sow fear among its own people, it is also a threat to Israel itself. Perhaps this helps answer why Damascus has suffered multiple attacks aimed at it by the regime in Jerusalem without striking back. It would simply feed into a deeper cycle of fear and dependency among Israelis upon the regime that has hijacked their nation and their future. A Syria reluctant to strike back against all of Israel for the crimes of a minority ruling it, is a Syria well-positioned to further undermine that regime in the eyes of the Israelis themselves when the war is finally over. Israel's regime does not fear a war it has the US standing behind it to fight, it fears what it cannot fight - an enemy determined to do for its own people - offer peace - that it itself has gone through great lengths to deny them.